Three well-renowned leaders — a former beauty queen-turned-culture and heritage advocate, a motivational speaker, and a climate change advocate — received the highly coveted The Outstanding Filipino (TOFIL) Awards on Jan. 29 at the Tanghalang Haribon, Insular Life Corporate Centre in Alabang, Muntinlupa City. Heritage Conservation Society chairperson Gemma G. Cruz-Araneta, inspirational speaker and businessman Francisco J. Kong, and Albay Governor Jose Maria Clemente S. Salceda were honored as exceptional Filipinos by dedicating their lifetime in the fields of culture and the arts, business and entrepreneurship, and government service, respectively. Ms. Cruz-Araneta was lauded for her unwavering commitment to promoting and preserving the Filipino heritage since she won the Miss International title in 1964 when she was 21. The author of eight books tackling various topics from Mexican-Philippine relations to her grandfather Dr. Jose Rizal’s true love, the beauty queen proved her dedication to enriching knowledge about Philippine culture through her vast research in libraries and archives. In her acceptance speech, Ms. Cruz-Araneta dedicated her latest achievement to two outstanding Filipinas who nurtured her: grandmother Filomena Francisco, “the first lady pharmacist of the Philippines” and the sister of national hero Dr. Jose Rizal, and mother Carmen Guerrero-Nakpil. “From these two ladies, I learned that I should be proud as a Filipino, and that love of country is a noble endeavor and a lifelong pursuit,” said Ms. Cruz-Araneta, who continues her advocacy by serving as a trustee and chairperson of a non-government organization that assists the Department of Education in the restoration of heritage Gabaldon Schoolhouses. Mr. Kong was honored for inspiring tens of thousands of people all over the world, many of whom Filipinos, to be self-motivated in pursuing their career and personal goals. Being a success story himself after starting our as a mannequin dresser and fish vendor, Mr. Kong now serves as a director of Inspire Leadership Consultancy and president of Success Option Publishing Company. The inspirational speaker also published 17 books while writing a newspaper column and being a broadcaster. “I’ve always carried this dream in my life (for) everyone in the corporate world (to) always do things like this to encourage people to do good and make this country the best one… there’s no other place better than this one. This trophy and recognition is simply another encouragement that the work has to continue, and the work must be done,” Mr. Kong said. Governor Salceda was awarded for his commitment on good governance and disaster preparedness and response during his service as an Albay government official. He institutionalized the Climate Change Adaptation program, which pushed for proactive preparations during typhoons to achieve zero casualty. “Zero casualty is like going for Ms. Universe. Hindi pwedeng tolerated casualty… Sinusubukan naming maging zero talaga. (It’s not enough to have tolerated casualty. We always strive to have zero casualty. ),” said Salceda, who also champions tourism and manufacturing as key industries for sustainable growth of the province. His efforts led to a 67% increase in tourist arrivals in Albay, now with the seventh-highest growth rate among provinces in the country. Insular Life Chairman Vicente Ayllon thanked the awardees for serving as inspiration to the Filipino people. “Thank you for showing us that a Filipino can be whoever he or she wants to be with hard work, patience and faith,” he said. The TOFIL Award is a joint project of Junior Chamber International (JCI) Senate Philippines and The Insular Life Assurance Co., Ltd. TOFIL is annually given to men and women, 41 years old and above, whose exceptional achievements are worthy of emulation. 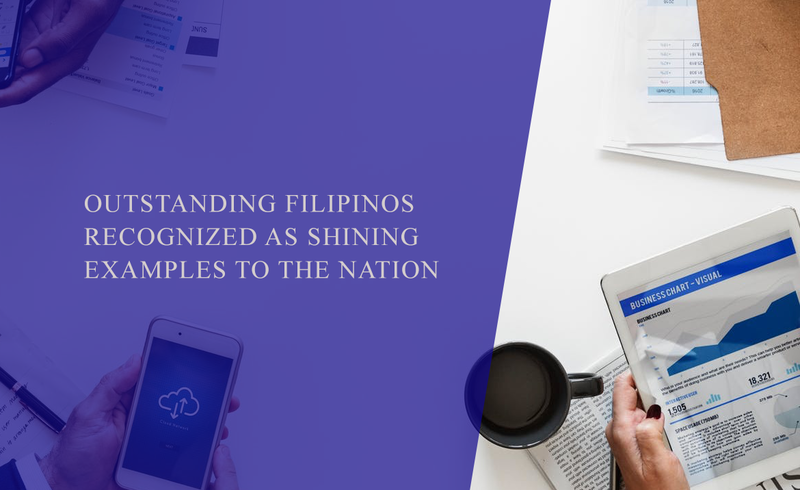 The Award has so far recognized 126 outstanding Filipinos in various fields, in its 27 years of existence.